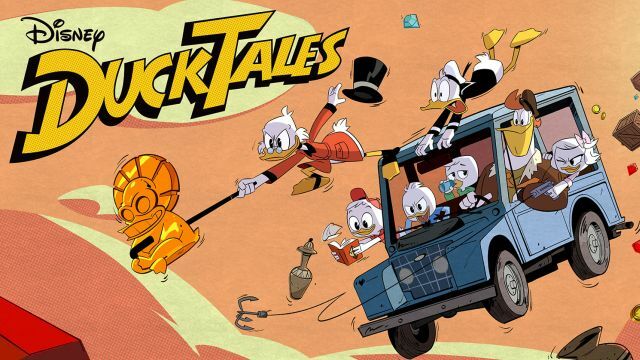 Disney Television Animation and Disney XD have revealed the DuckTales cast! Among those set to voice the fan-favorite characters in the revival are Danny Pudi, Ben Schwartz, and Bobby Moynihan as Huey, Dewey, and Louie, with David Tennant as Scrooge McDuck, Beck Bennett as Launchpad McQuack, Toks Olagundoye as Mrs. Beakley, and Kate Micucci as Webby Vanderquack. Other characters will appear in the series as well, including Donald Duck, Flintheart Glomgold, Gyro Gearloose, Duckworth, Gizmoduck, Magica DeSpell, Gladstone Gander, and Ma Beagle and the Beagle Boys. 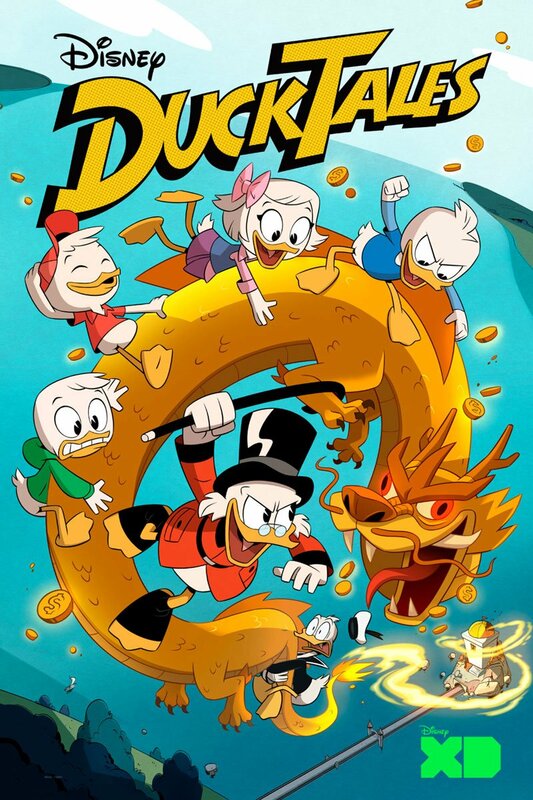 The new DuckTales series’ adventures will once again take viewers along as Scrooge McDuck, his curious and mischief-making grandnephews—Huey, Dewey, and Louie—and the optimistic-yet-temperamental Donald Duck embark on high-flying adventures worldwide. Other beloved characters slated to be in the new stories are Duckworth, Gyro Gearloose, Launchpad McQuack, Flintheart Glomgold, Magica DeSpell & Poe, Ma Beagle and the Beagle Boys (Burger Beagle, Bouncer Beagle), Mrs. Beakley, and Webbigail Vanderquack. A generation’s seminal cartoon, DuckTales led the daily syndicated cartoon block “The Disney Afternoon” with 100 episodes produced from 1987–‘90. An animated theatrical film, DuckTales the Movie: Treasure of the Lost Lamp, premiered in 1990. The DuckTales revival will debut in summer 2017. What do you think about the new DuckTales cast? Let us know in the comments below.